In baseball, we have reached epidemic levels of players needing Tommy John Surgery. At the Major League level, one in four pitchers has had Tommy John as a result of tearing their ulnar collateral ligament, or UCL. Unfortunately, these numbers translate to many younger players needing the surgery as well. 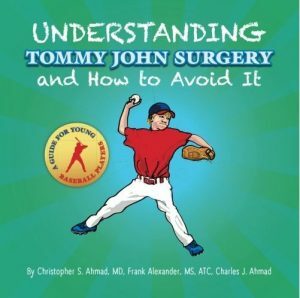 To help combat the issues facing America’s pastime, I, along with Frank Alexander and Charlie Ahmad put our heads together and wrote Understanding Tommy John Surgery and How To Avoid It: A Guide for Young Baseball Players. To reverse these epidemic trends our goal is to start changing the culture at the youth levels before bad habits develop, similar to how we educate children on the dangers of smoking. In our office, we’re seeing younger and younger players walk through the door at an alarming rate. We hope that by educating younger athletes, they won’t wind up in our office when they’re older. Understanding Tommy John dives into the anatomy of the elbow, what the process is like when a player gets injured, and offers tips and tricks for youth baseball players to stay healthy. 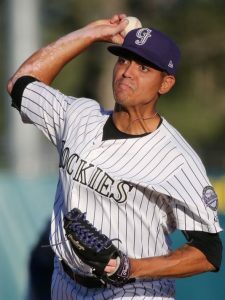 By taking action earlier, players can make better decisions and avoid injury by understanding how the elbow works and what mistakes can be avoided before they land in our office! You can read more and get your copy here! Mike Reinold, PT, DPT, SCS, CSCS is the President and Co-Founder of Champion Physical Therapy and Performance in Waltham, Massachusetts. 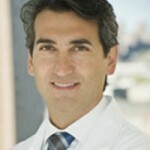 He is a world-renowned expert in physical therapy and sports performance. He uses his background in sport biomechanics, movement quality, muscle imbalances, and manual therapy to help some of the most elite athletes return to the sport they love. 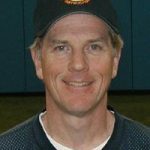 Currently a consultant for the Chicago Cubs, Mike played a key role in 2007 as he led the efforts in keeping the Boston Red Sox healthy on their way to a World Series Championship! He has been featured in ESPN, Sports Illustrated, Men’s Health, and peer-reviewed publications such as The American Journal of Sports Medicine and the Journal of Athletic Training, among many others. 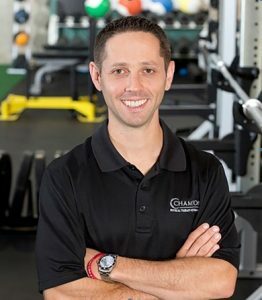 Mike was kind enough to talk with Team Ahmad’s Frank Alexander, MS, ATC about his background and how his team at Champion Physical Therapy and Performance keep their athletes healthy. Frank Alexander: What made you want to become a physical therapist? Mike Reinold: I always liked science and sports, but then I took an anatomy class in high school and knew I wanted to get into medicine. I was fascinated by how the body works. I chose physical therapy as a way to integrate my passion for sports medicine, human biomechanics, and helping athletes return to the field. FA: What advice would you give to someone looking to work with elite athletes? MR: To get into sports, especially at the elite level, you need to intimately understand the sport. Volunteer your time to work with people that work with elite athletes in the field you are most passionate about. For me, it was baseball. I moved to Alabama in the ‘90s to work with Dr. James Andrews and the team at ASMI. Surround yourself with the best and learn from them. This will put you in a much better position to succeed. FA: How do you help keep your athletes healthy after they’ve completed their formal physical therapy? MR: Our model at Champion is an integrated approach to performance-based physical therapy and sports performance training. The two areas often overlap and merge. They should be coordinated together. With athletes, our philosophy is that they actually “micro” injure themselves each event, so we encourage proactive performance therapy to help them maintain performance and reduce injuries. This is the model I developed for the Red Sox that we performed throughout the entire system. We were very proactive in maintaining the appropriate physical characteristics throughout the season versus retrospectively waiting for injuries to occur. FA: What new modalities are you using to help your athletes get the most out of their physical therapy session? MR: We are always experimenting with new techniques and modalities with the goal of helping athletes stay on the field and get back from injury as fast as possible. We proudly throw the kitchen sink at our athletes. Both instrument assisted soft tissue mobilization (IASTM) and cupping are deeply integrated into all our techniques now. The athletes love it and we often get immediate improvement in how they feel and move. It has been a changer. Lately, we have started to integrate blood flow restriction (BFR) training into our postoperative rehabilitation. This allows us to have a more robust physiological response when loading the body at a lower percentage of their maximum load, which is required in rehab. The results have been promising but we are still developing our specific applications. 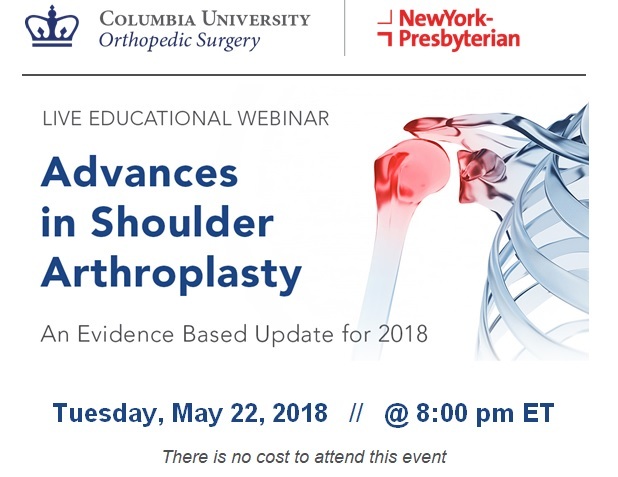 Frank J. Alexander, Jr., M.S., ATC, is a Physician Extender to Dr. Christopher Ahmad, Department of Orthopaedic Surgery at Columbia University Medical Center. 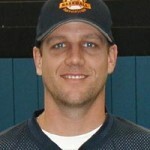 You can learn more about Mike Einold and his approach to keeping athletes healthy on his website and Champion’s site. If you play competitive sports, injuries are always a possibility. Nobody knows exactly when or how they will get hurt. Unfortunately, there is no way to predict injuries. Even the most elite athletes fall victim to injuries and spend time on the disabled list or have to sit a few matches out. While we cannot predict much about injuries, we can avoid many of them. All athletes can prevent a group of injuries called “overuse” injuries. Overuse injuries are just that – when you over use a body part such as an elbow, shoulder, or knee without adequate rest. Many overuse injuries happen in adolescent athletes that are still growing. These injuries are fairly common and you may have even heard of a few such as: Little Leaguer’s Shoulder, Little Leaguer’s Elbow, or Jumper’s Knee. Adolescent athletes are not the only population that succumb to overuse injuries. Weekend Warriors, runners, frequent golfers and tennis players also develop overuse injuries. 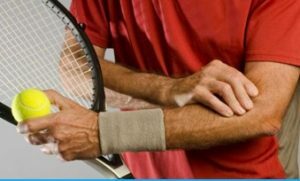 Common overuse injuries in the skeletally mature population include: Tennis Elbow, Golfer’s Elbow, and IT Band Friction Syndrome. Nobody wants to hear they are injured but the good news is you can recover from them. You have an excellent chance of making a full recovery if you let your body rest and correct any asymmetries and muscle imbalances. Many athletes will not want to “rest” but rest does not mean you cannot exercise or play sports. It just means you have to adjust your routine. Athletes that have overuse injuries can still participate in sports but may have to stop the sport they got injured playing. If you have Little Leaguer’s Shoulder, it doesn’t mean you have to stop everything for the whole spring or summer, it just means you should take a break from throwing a baseball. Depending on the severity of the condition, some athletes may be allowed to play basketball, soccer, or even swim in a pool. 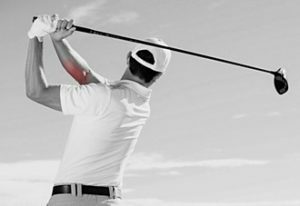 For patients suffering from Golfer’s or Tennis Elbow, a simple adjustment of how you hold a club or a racket may be all it takes to alleviate your symptoms. Any runner with ITB Friction Syndrome may have to take a break from running, but they can still get in the pool or ride a bike. There are plenty of ways to make minor adjustments to exercise routines and still be active while injured! The best way to prevent these injuries is to make sure you give your body a break every now and then from the demands you place on it. This is especially important for our young and growing athletes. 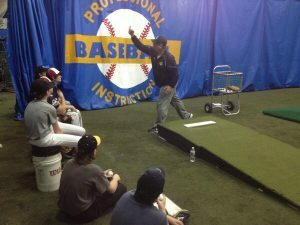 Baseball and tennis players should give themselves a break from throwing or competing after their season ends. Runners can hop on a bike or elliptical every once in a while to avoid injury as well. There are many ways to avoid overuse injuries so if you think you may be prone to them, feel free to ask any expert on our Team and we’ll be happy to help you stay on the court, field, or track! Dr. Christopher Ahmad, Head Team Physician for the New York Yankees and founding member of the Baseball Health Network will lead an esteemed panel of physicians, trainers and baseball notables at the 2nd annual Baseball Sports Medicine: Game-Changing Concepts seminar on November 16-17 in New York. This live activity is designed to identify areas of concern or controversy in the management of baseball athletes in a team sport setting through didactic presentations and case-based scenarios. Key issues, along with up-to-date and practice solutions, will be addressed. Time has been built into the agenda for questions and answers. Joining Dr. Ahmad as course director is Chicago White Sox Team Physician Dr. Anthony Romeo. This conference is designed for any orthopaedic surgeon, physician, athletic trainer, physical therapist, strength and conditioning expert, or coach concerned with the management or prevention of injuries to the baseball athlete. Last year was a huge success with MLB team physicians, trainers, and therapists presenting diagnosis, treatment and rehabilitation for baseball injuries. For more details, click here for our full-color brochure. When someone is injured and needs surgery, the hard part is not undergoing the surgery itself. The hard part is being patient and maintaining the drive to get through each physical therapy session. For our patients with active lifestyles, the desire to get back to the activities they love may feel far away. But there is light at the end of the tunnel. 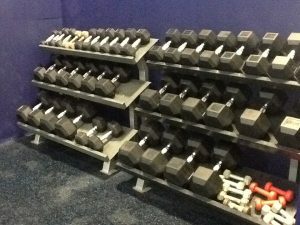 Many patients want to get back to playing their sport or even just get back into the weight room or gym. In some cases, getting on a stationary or recumbent bike is possible within days of surgery. However, that may not be enough. The type of surgery a patient has determines the length of time away from the gym and sports. Once being cleared to return to working out, there are a number of exercises we would like our patients to steer clear from. Whether you are recovering from surgery or not, we strongly advise our overhead athletes to avoid these exercises. Exercises to avoid include: dips, chest flyes, lat pull-downs behind the neck, heavy-weight overhead shoulder presses and wide-grip bench presses. Patients should also avoid allowing the shoulders to be stretched to the extreme end range of motions. While these exercises are discouraged, there are variations and other exercises that can be substituted. Variations include: lat pull-downs with the hands in front of the body, using a medium grip for chest press and lat pull-downs, and using dumbbells for bench pressing. 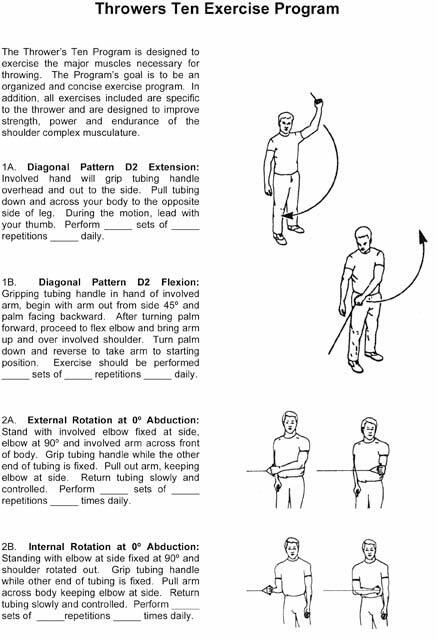 Substitutions include: the Thrower’s Ten exercises (internal/external rotation with TheraBands) and lying light dumbbell exercises such as Y’s, T’s, and A’s. Upon being cleared to return to the gym or weight room, it is best for a gradual return to activities. For example: when returning to cardio, avoid using the moving arms on the elliptical for a number sessions or stick with the bike a little longer. As for weight training, it is suggested to start with light weights and gradually progress to heavier weights. If you are not sure if you should progress, feel free to ask in the office or check in with your physical therapist. Your physical therapist is a great resource for guidance when returning to unsupervised exercising. While some exercises should be avoided, many should be done regularly. The Throwers Ten Exercises are a staple of all throwing athletes’ shoulder programs and should be done throughout the off-season and regular season to help keep the shoulders healthy. Core and leg exercises are integral for any throwing athlete. When performing lower body exercises with a load, be sure to listen to your body. If soreness is present, modify the lift or avoid it if possible. If you are ready to return to weightlifting, our office has a handout with guidelines that you should follow as well as the Thrower’s Ten. Following these guidelines and the advice of our team and your physical therapist will help ensure the ability to safely return to the gym and sports!